The success story of the Punjabi community over a surprisingly short period of time has never been more important in Britain than today. The largest Sikh community outside of India is well established in Britain. The British Punjabis have migrated from different countries, the vast majority from India and the British colonies who came as British Citizens. Following settlement, they have made their mark in many fields through sheer hard work and determination to succeed. The British Sikh Report in 2014 wrote that Sikh settlement to Britain can be traced back to 1854 when the 15 year old Maharaja Duleep Singh, the last King of the Sikh Empire, was brought to England following the annexation of the Punjab by the East India Company. Sikhs fought in strong numbers in the First and Second World Wars, with 83,000 Sikh soldiers giving their lives in service of the British Army. The Sikh community (collectively referred to as the Panth) has made a significant and huge contribution to British Society, both historically and in the present day. Whether it's business, music, film, education or employment, their achievements are vast to say the least. These statistics don’t go unnoticed as we see Punjabi culture seeping into mainstream society, as well as influential Punjabi businesses contributing to the UK economy. Punjabis are believed to be one of the largest contributors to UK's GDP. The mainstream media has always described them as one of the pride and faces of the Asian community in Britain. 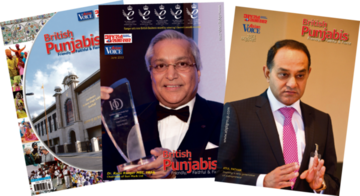 The British Punjabi magazine was started in 2010 with profiling the first generation, who spoke about their journey to success. Now the magazine has gone on to talk about the likes and dislikes, aspirations and dreams of the second and third generations of British Punjabis- whatever be their area of expertise- from politics to music. 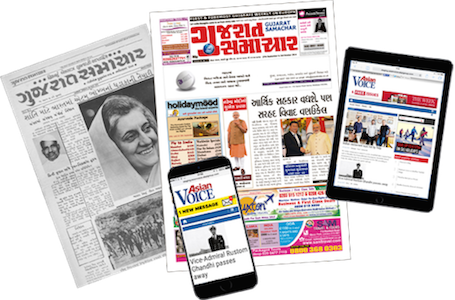 The first BP magazine was published and launched in 2010 in presence of community leaders, MPs, Peers and other crème de la crème of the community. Every year it has a different theme and is launched at a popular venue across London, including the Houses of Parliament. You'll find all the previous British Punjabi digital e-editions below.